The Swedish company IKEA is always leading in terms of initiation and creativity when it comes to their projects. Namely, this company worked hard to raise awareness about the plight in Syria, had an environmental-friendly project that uses mushroom-based packaging that decomposes within weeks, have a furniture business which is progressive, and much more. “In this day and age, an organization ought to commit to delighting its customers, remembering why the organization exists in the first place. If there are no customers, there is unlikely to be an organization. If there is no organization, somewhat obviously there are no roles. Put simply, if the organization does not delight its customers—the people it ought to be working for—neither team members nor the organization can reach the sweet spot for there will be a damaged organization left remaining to carry out its mission. 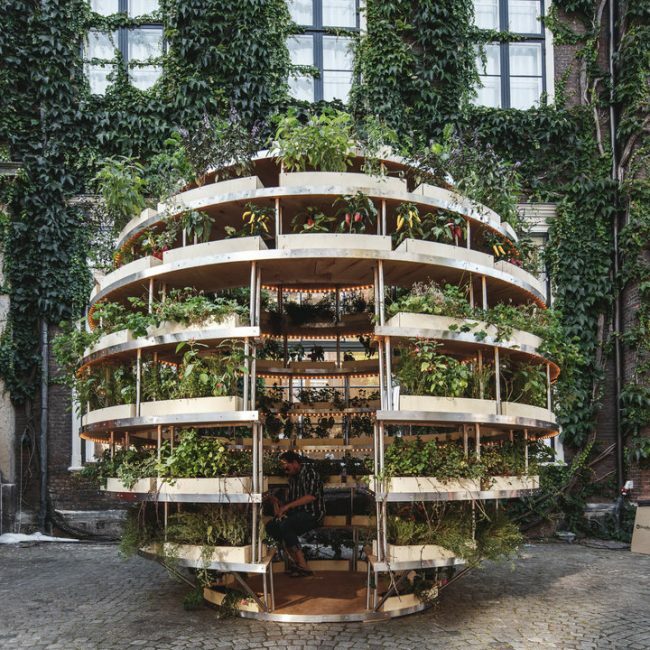 Now, IKEA has released open source plans for The Growroom, which is a large, multi-tiered spherical garden designed to sustainably grow enough food to feed a neighborhood. IKEA made these plans free for people to be able to invest and create such a garden in their neighborhood. The instructions comprise of 17 steps, and one only needs metal screws, plywood, rubber hammers, and diligence to finish the project. According to the Huffington Post, the instructions can be downloaded for free and guide the builder through the steps. Users need to cut the plywood pieces to size and then visit a local workshop where the wood can be professionally cut.